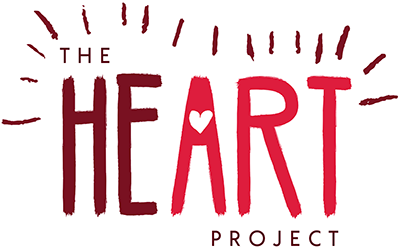 The heART Project would not be able to function without the support of our wonderful Heartists – our volunteers that give their time, energy and love to make our projects extra-special. Read a bit below about our special team of volunteers. Brian is an avid photographer and trainer that enjoys sharing his knowledge and experience with others. Over the past few years his work has featured in numerous local exhibitions and has been published in magazines both in print and on-line. His love of photography coupled with more than 25 years experience in teaching technology to technical & non-technical people has put him in an ideal position to pursue his passion of helping other photographers, as a mentor, in a classroom or in a photo workshop. Yvette is a professional accredited photographer with the AIPP (Australian Institute of Professional Photography) and has been published in 12 countries around the world. Publications include: House Magazine, Home Design, Wedding Guide, Little Pink Book and Bride to Be.Yvette teams up with local charities each year to bring joy and give back to those who need a little cheer.Her Favorite Charity is The Heart Project and she hopes that the stories told within the Heart Project , will bring inspiration and encourage others to do the same.GIving back to the community is her passion. Karley is a 19 year old country nsw girl . She was born with cerebral palsy and suffered from seizures and is legally blind. She struggled to function on a daily basis until a life changing opportunity to undergo hemispherectomy surgery in September 2015. The Removal of half her brain was a complete success and now Karleys future is looking brighter than ever before. In may of 2016 karley was given a unique opportunity of a lifetime with an ultimate work experience trip to the USA to persue her dream to become a photographer. She has been mentored by some of the worlds best and is inspired to continue to grow her business. Being a member of the heart project allows karley to pay it forward and share her courage determination and strength with others …. Jacqui is a South Australian based photographer in who specialises in the photographic art of newborn, children and families. She started her passionate journey to became a photographer after having her own child with special needs and noticed the need for a photographer to be able to take photos of children with special needs with their families. With the help of The Heart Project this creates the perfect opportunity to achieve this dream. Jacqui joined the heart project after her daughter Tahliyah was the very first participant. Through this experience, Jacqui has leveraged her previous experience and her continued desire to further develop the art to bring to life others dreams and hopes and give them a lifetime keepsake.